It’s a box I hadn’t opened in years. 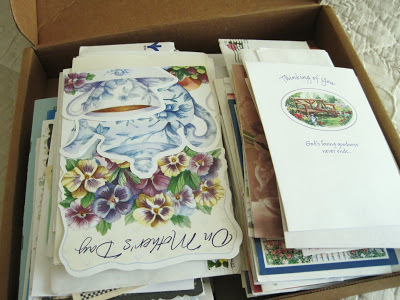 It overflows with letters, cards, and notes sent to my husband and I during the pregnancy and birth of our first child. They’re from family members, church friends, fellow teachers and co-workers, former students, and ball players on basketball teams my husband coached. While the child that they commemorate lived only 7 1/2 months – all of them in my womb – this visible outpouring of thoughtfulness shows just how many lives she touched. So few of the people who penned these sentiments ever saw her, yet their words of sympathy and encouragement touch me now maybe even more than then. Those days were spent surviving, knowing that the journey of carrying this baby would end in her death. Thirteen years later, I have the time to consider each expression of kindness and appreciate the many thoughts and prayers on our behalf. Some of the names scrawled on the pages are those of people I’ll never see again here, for they’ve already joined our little girl in Heaven. I did not fully recognize during those months the work that God was doing in our lives. Yet I know that He always acts in a way that it is ultimately for our good and His glory. And these bits of paper, that bring to mind so many dear faces and cherished memories, remind me that the messages of encouragement we share with others may have a more lasting impact than we’ll ever know. 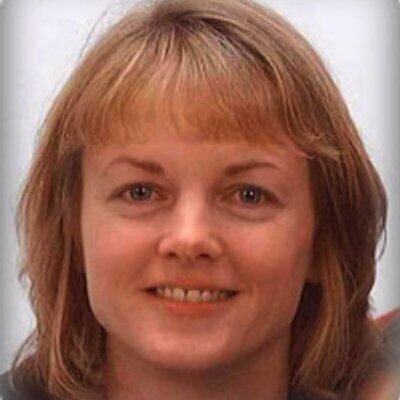 Tracey – I can not even imagine that pain. How wondeful that you were blessed by so many! And how wonderful that you will meet your little one in heaven! I'm sorry to hear of such a tragedy that you've endured. I can't imagine what you've been through. I'm happy to hear that you are able to gain such love and compassion from those around you, then and now as you go through the box of sentiments. God bless you and yours, as you enjoy all the moments you have together! I can testify to the fact that God truly gives us the grace we need just at the time we need it. And, yes, it is such a comfort to know that we will see our daughter in heaven! Beautiful blessing during hard time! Having such a supportive family and church community around us was truly a blessing from God! We definitely praise Him for the children He subsequently gave us and is allowing us to raise. Oh… my heart broke to know you never got to hold that tiny baby in your arms. That must be one of the worst pains to endure. Those letters will always remain priceless and cherished. It's wonderful to look back and see how many people cared in such a hard time. I don't know what to say except that I'm so sorry that you lost your baby. My sister lost one of hers at about that time, and I know how devastated she was. It sounds like you were wonderfully supported through your loss by friends and family. What a blessing! I actually did get to hold her for a little while. She was 2 1/2 pounds with a nearly perfect body and just a minor facial deformity (although the nurses put a cap on to cover the top of her head. I was very reticent to hold her at first; I was fearful that the bonding I would feel would make the situation even more difficult. Now, however, I am so glad that we did have that brief period of time with her. Thank you for your caring and thoughtful comment. It truly was a blessing to have such a wonderful support system. It's amazing how many women have dealt with a miscarriage or losing a child. I can't imagine how hard it would be if you didn't have faith in a loving God who gives sustaining grace during such a difficult time. I thought I wrote a comment on this post yesterday, but it mustn't have gone through. Thank you for sharing your feelings and memories about that difficult time. When we are going through something like that, it often feels like it is too much to bear (while I haven't lost a child, I have lost my mother, which was very difficult)… And yet looking back, while there is still pain, it is also possible to see how God worked through it, often, and that makes the blessings even better. ((hugs)) What a joy it will be when you see your little one again in HIS presence!